Portes Alumican builds upon its forward vision and leadership in the field with even more exclusive models. These models will subtly beautify the entrance to your home. It’s your door. Express yourself with it! 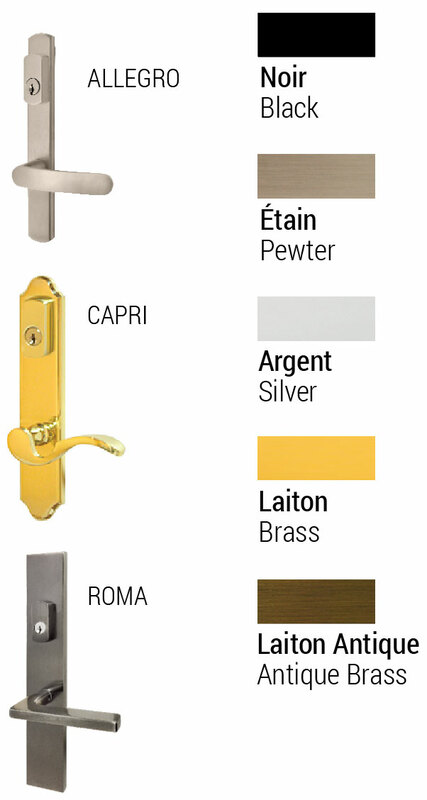 We offer a selection of first class finishes. 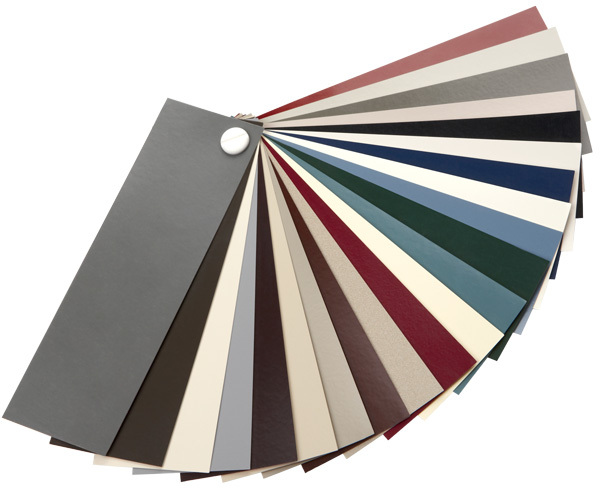 If you don’t find exactly what you’re looking for amongst our standard colours, our paint professionals are standing by for your specifications. 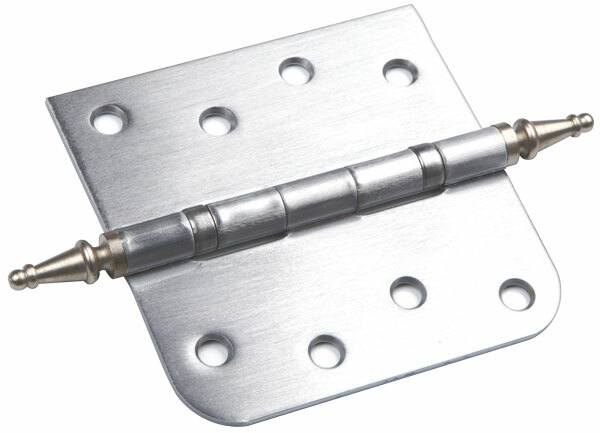 Handle assemblies for multi-point lock mechanisms come in solid brass. You have the option of a multi-point locking system: the door secures at three points. Our thresholds are anodized to prevent oxidation. 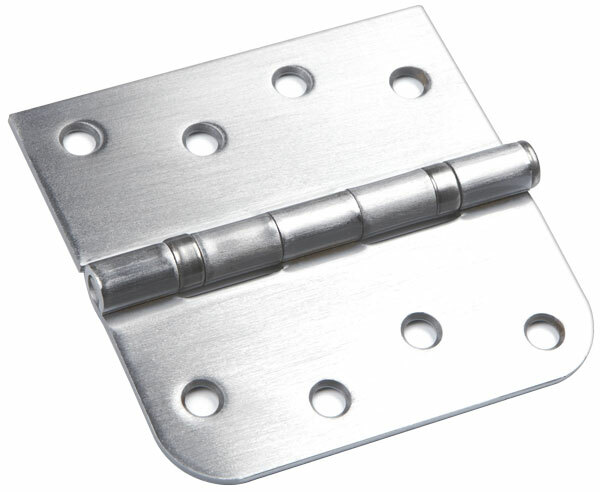 All our hinges operate on ball bearings, eliminating the wear associated with conventional mechanisms. Available in silver and brass. Moldings are not only decorative. 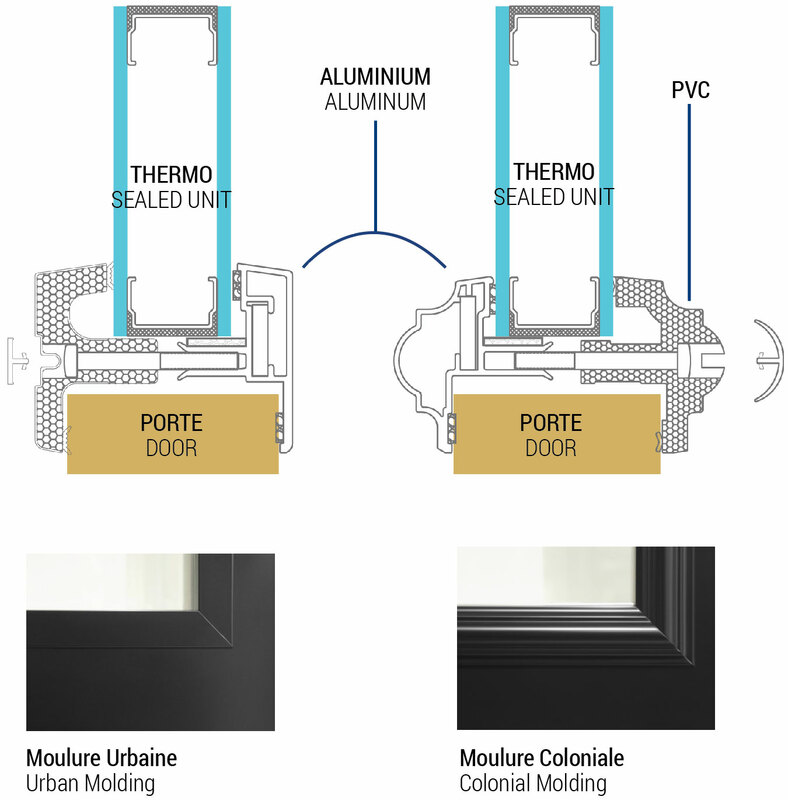 Designed and manufactured by Alumican, they significantly contribute to the tightness and durability of our doors. The aluminum mullion between the door and side panel serves to complement the trim around the stained glass.